Making Tax Digital (MTD) in 2019 – Is your business ready? 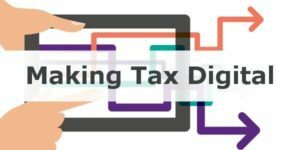 I am sure you have now all heard of Making Tax Digital (MTD), but I would like to give you a guide on who this affects and what you need to do…. MTD is an overhaul of the UK VAT system which replaces manual processes with digital ones. have a taxable turnover above the VAT threshold (currently £85k) when MTD begins. Businesses who are already exempt from filing their VAT returns electronically, are also exempt from Making Tax Digital for VAT, unless they choose to take part. They can do this by informing HMRC in writing. Over 96% of businesses affected by MTD need to start following the rules from the beginning of their first VAT period, starting on or after 1 April 2019. This includes businesses whose revenue exceeds the VAT threshold during the year, so keep an eye on your turnover. It is worth knowing that once you have gone over the £85k threshold, you will always be required to follow the rules for MTD, unless you deregister from VAT. Businesses complying with MTD for VAT will need to keep and preserve their VAT records in a digital form. They will need to file their VAT returns quarterly (or more frequently), using HMRC-recognised software fo MTD. A big change like Making Tax Digital is bound to bring some uncertaintly. However, Charnwood Bookkeeping uses MTD software like QuickBooks, so meeting your tax obligations will be a simple and transparent process. That means less time worrying about your taxes and more time growing your business. Contact us for a chat on how we can help your business move painlessly to Making Tax Digital. Wishing you all a Happy New Year and a successful 2019! QuickBooks Online (QBO) is Intuit’s push into the cloud accounting future. Like Xero, QBO sees the value of the cloud in its lower costs, mobility and powerful integrations. The target users for QuickBooks Online are small to medium sized businesses and they are not yet targeting the larger businesses with their more complex requirements. QBO is designed to handle all of the basics accounting and financial needs of a small to medium size business, from quoting right through to invoicing and reconciling bank transfers. Being cloud based, like Xero, you can access QuickBooks Online anywhere as long as you have a reasonable internet connection, also meaning that you can share your information with others in real time. This is highly beneficial for accountants and bookkeepers who like to keep abreast of daily business activities. A big reason to move from old (outdated) accounting software to a new package is to improve the user experience: the QuickBooks user interface is simple and intuitive. Navigation via the side panel makes it easy for users to find what they want and the dashboards provide a high level view of the business at a glance. Vibrant colours and a money bar indicating various stages of receiving or making payments all help to create an easy to use and enjoyable experience. Layout is logical and well-structured making it simple to learn where things are. 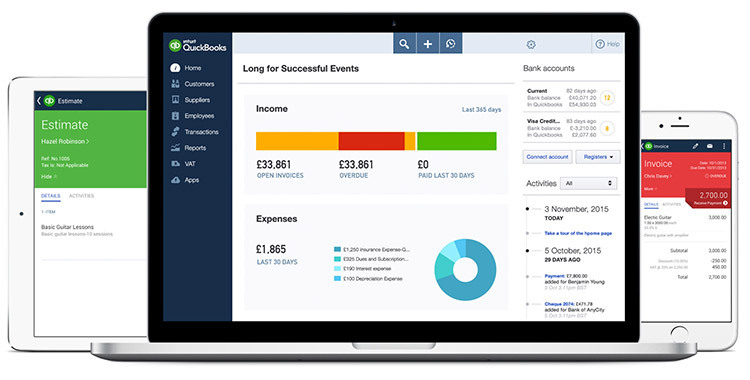 QuickBooks Online features ticks all of the same boxes around processing transactions as its main competitors. It provides quick and easy creation of quotes and invoices to be sent to your customers as well as pay now functionality for invoices sent to customers through integrations with the likes of PayPal. The invoicing and quoting functions allow you to get paid more quickly, but also allow you, as business owner, to track the progress of all outstanding invoices in the system in real time. 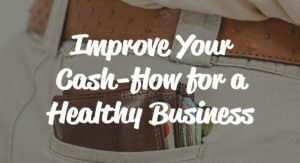 The money bar is a simple, yet powerful tool to help you assess what future cash flow to expect, what has been paid recently, as well as who is overdue and needs chasing. This makes reviewing your accounts simple and pain-free. Purchase orders operate in much the same way as quotes and invoices. Purchase orders for goods can be created and emailed to suppliers directly and converted into a bill once an invoice is received. Expenses are also simplified with a snapshot of receipts being able to be captured in real time as they occur using the mobile application. The quoting, invoicing, purchase order and expensing functions manifest the framework for the rest of the QBO system. Customising all of your documents with your logo and layout allows you to stay on brand with your customers and suppliers. The simplicity and ease of use of the transactional functions is amplified when combined with the live bank feeds feature of QuickBooks Online. Live bank feeds connects your accounting software to one or many of the bank accounts or credit card accounts used by your business. Previously, reconciling transactions in your accounting software had to be done manually by finding the same transaction on your bank statement. Ultimately, this is time consuming, labourious and prone to error distracting you from the important issues within your business. QBO’s live bank feeds lets you reconcile both sets of data (from QBO and from your bank account) in real time with the simple click of a button. Recurring payment data will be captured and remembered by the system to simplify future processes. For those in the retail, wholesale or manufacturing industry, inventory management is a must. Similarly, if you are a service business keeping parts, then controlling stock is crucial. QuickBooks Online has a basic inventory feature to its higher end package allowing for inventory to be created and tracked. Basic product costing and stock management is available, but for more detail you are better integrating your QuickBooks package with the likes of one its inventory management partners. Financial reporting in QuickBooks Online is simple with a range of standard reports broken down into the various areas of your business from accounts receivable, accounts payable and expense reports. Each can be customised to suit your criteria and are able to easily be exported to Excel for you own manipulation. Graphical representations are a real bonus to simplify the presentation of information for the end user. A key part of the attraction to any cloud based application is the power of mobility. Being able to assess and transact within your business when you aren’t at the office or in the store is to be expected these days. QuickBooks Online has a mobile application for iOS, android and tablet that can be accessed on the go at any time. Work can be conducted offline, for when you don’t have access to the internet and any changes made will be updated once you’re back online. The applications are stable and mirror the user interface of the browser app so that you feel right at home. Emails with quotes, invoices and purchase orders can be sent on the go from your mobile or tablet meaning you can get more work done when you’re out on the road. Mobility is a consideration that has been well researched by QBO to provide a class-leading solution. Your financial information and customer’s data security should be a top priority when deciding on a new accounting package. QuickBooks Online provides bank level security for your data with secure hosting of your information following best practises for the banking industry. Backups are automated with no need to store your data externally for peace of mind. QuickBooks does provide the option to export any or all of your data at any time, meaning you can always access your valuable information in any format that you want. QuickBooks Online has an uptime figure of 99.8% with multiple backup servers ready to step in to keep providing an ongoing service to your business. The Plus Package is QuickBooks Online top level package with all of the features included. On top of the essentials plan, the most obvious upgrade is inventory tracking and access for multiple users. In addition, you have access to budgeting functions that were previously unavailable, more in depth reporting, greater scope for categorising transactions and time tracking for employees. The accounting system is one component of running most businesses in the modern day. Regardless of your business or industry type, there will undoubtedly be other systems that could enhance the productivity of your business. These can include job management software for trade and field service firms, time tracking or point of sale for retail or hospitality and project management for those businesses offering professional services. QBO sits at the heart of an ecosystem of applications that can all be integrated seamlessly into your accounting system. This means transactional data from business operations can be handed across and reconciled against your bank data in an instant or stock level can be passed across to be accounted for. 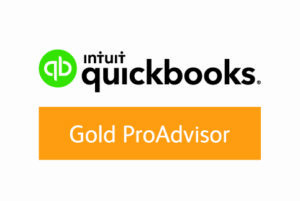 A big positive of QuickBooks Online is its integration network. All of our bookkeeping packages come with QuickBooks Online Plus as standard, however you can use the software of your choice, ie. Sage or Xero. The price for Sage and Xero is higher and will suit more complex or larger businesses. Software training and support is included in our bookkeeping packages. We will also transfer any data from your old accounting system and get you up and running quickly. If you would like to learn more about QuickBooks Online or our bookkeeping packages, please contact us for a FREE, no obligation, consultation. I want to share a recent 5 star review from my lovely client Katheryn. Sorry for being ‘anti-social’ lately, it was a very busy summer! I can’t say I loved the heatwave and I’m happy I can now sleep properly. However, it was a great summer. I took on lovely new clients and it is a pleasure to work with local businesses. I’m working with sole traders, new business startups and limited companies. Are you a sole trader? I can help do your bookkeeping or help you get set up on a simple bookkeeping system. I can also help with your Self Assessment tax return for 2017-18. Provide your income and expenditure by the 31st October and you will get a 20% early bird discount. Are you starting a new business? I can give you support in setting up your new business. I can help you get set up on a simple bookkeeping system and help you with your marketing. I can also explain your legal obligations as a business owner and what is required by HMRC. Are you a limited company? I can do your bookkeeping alongside your accountant. 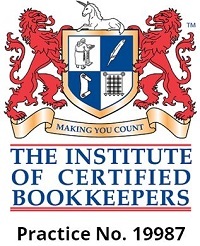 I can work on your site and use your existing bookkeeping system ie. Sage 50. I currently have two limited company clients where I attend their premises two mornings a week. Outsourcing your bookkeeping will save you time and money. It really is my pleasure to work with local businesses and provide valuable support. I am honoured to be one of the inspirational #ICB100Women. #ICB100Women. In 1918 the Representation of the People Act gave (some) women the vote in GB and N Ireland. Throughout this centenary year ICB will be honouring 100 inspiring and influential women bookkeepers. Jo has loved working with numbers since she was 17 years old and has worked in finance departments for thirty years, specialising in cash forecasting for multi-million-pound companies. Jo became a mother in 2005 and returned to work part-time but needed more flexibility as a single mother of two children. She left the corporate world and started a catering business, delivering healthy lunches to offices. However, at the end of 2016, Jo broke her elbow in a fall, putting her out of work for ten months and leaving her with limited mobility in her arm. She was forced to shut down her limited company, but she was determined to start another business with a similar work/life balance. 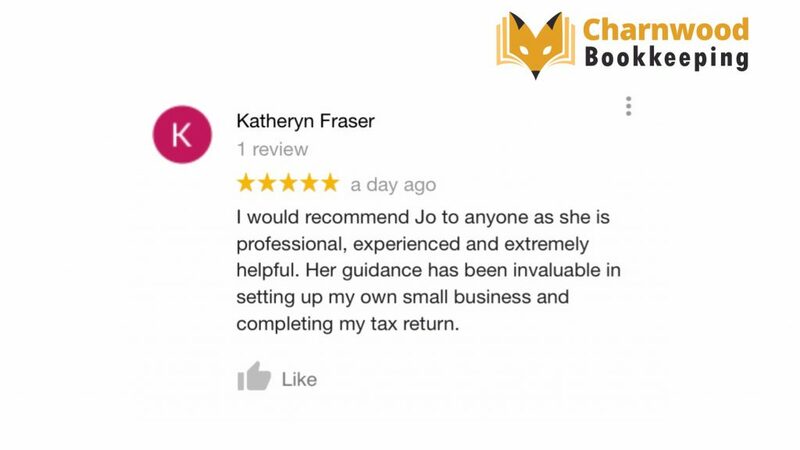 Jo did the annual accounts and corporation tax returns for her catering business and while she has many years experience in bookkeeping, she wanted to gain the necessary qualifications to become a certified bookkeeper. She came across one of ICB’s Accredited Training Providers, Ideal Schools, and from the initial phone call, she knew they were the right training provider for her. Jo studied ICB’s Level II & III qualifications, as well as the Self-Assessment Tax qualification. It took her four months to gain the qualifications and Jo achieved a Distinction in Levels II and III and 100% in the SAT examination. Jo says that SAT exam was the hardest qualification she has ever done, and she is extremely proud of this achievement. She also had an excellent tutor (Eszter Petrinovics), who Jo believes is a true credit to Ideal Schools. 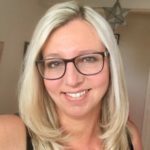 Jo set up her bookkeeping practice in April 2018, which was both a challenge and an achievement. As she was out of work for ten months after her injury, she had to do a lot of budgeting to run a household and study at the same time. Jo also designed and built her website herself and has since taken on her first clients. She particularly enjoys rectifying errors in people’s books and training people on how to use bookkeeping software. Do you keep ignoring your Self Assessment tax return? If you complete your tax return in July, you have until the 31st January 2019 to pay any tax owed. That’s six months to budget, plan and manage your cash flow. “Fail to prepare – prepare to fail”. Don’t lose sleep worrying about your tax bill. Ignoring it won’t make it go away. Planning ahead gives you that feeling of relief. Give yourself time to come to terms with your tax liability and allow more time to make adjustments. The earlier you submit your tax return, the earlier you’ll receive any tax refund because HMRC is less busy processing returns. Unlike the deadline for payments, HMRC doesn’t wait until January 31st to refund you! If you have a holiday planned, this could be extra spending money. There’s nothing worse than panicking at the very last minute because you’ve mislaid important receipts and invoices. Not only will this add to the already stressful experience of filing your tax return, but it might also mean you’re unable to deduct allowable expenses because you can’t find the receipts. Filing early will avoid all this stress. Filing early is the chance to address any problems with your tax return and therefore avoid HMRC’s late filing penalties. With a minimum penalty of £100, you should always file your tax return even if you can’t afford to pay the tax bill. There is another benefit for filing early – we give great early bird discounts! The best is a huge 40% discount if you submit your details to us by the 31st July 2018. It’s really simple to do (we like making things easy) – simply give us a call, or send an email and we will send a Self Assessment Questionnaire. It doesn’t matter where you are in the UK, we can handle everything remotely. 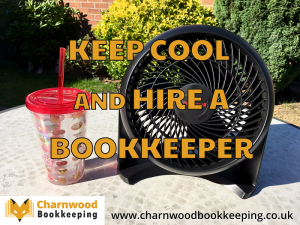 Is your bookkeeping making you hot and bothered? British summertime has arrived! Hurrah! However, in true form we will be moaning it’s too hot – well I know I will be. I love the sunshine, but not the heat – maybe it’s my age? I’m guessing after a long day at work, you will be looking forward to getting home and having a long cold drink. Especially all of you working outside and going a golden colour (jealous). While us office workers just get to look outside and count the minutes until hometime. Are you planning a BBQ or the evening in a beer garden? The heatwave is forecast for at least two weeks – enjoy every minute of it. Don’t spend your evenings and weekends working on your accounts – leave that to me. I work with all types of small to medium size businesses, including sole traders, partnerships or not-for-profit organisations. You can be confident Charnwood Bookkeeping will provide you with a professional, friendly and efficient service. You can even pay in affordable monthly instalments, to help with your cash flow. I am happy to help with one off bookkeeping or an on-going working relationship where I do your bookkeeping every week, month or quarter. Contact me to arrange a FREE, no obligation, consultation. Do you need to file a Self Assessment tax return for 2017/18? Self Assessment Tax is a complex and ever changing area in which a tax payer tells HMRC about their income. 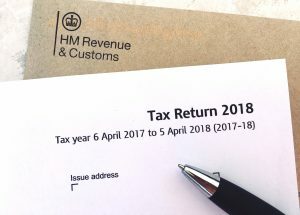 Paper tax returns have to be submitted to HMRC by the 31st October following the end of the tax year whilst online returns are due 31st January following the end of the tax year. Preparing even the most straightforward tax return can be complicated. We can take the worry away! We will complete your tax return, calculate your tax liability and file online as your agent. Early Bird Discounts are available for bringing your information in earlier! Not only will you pay a reduced fee, but also get more advance notice of any tax liability or more time to spend a tax refund! Get our very best early bird discount! 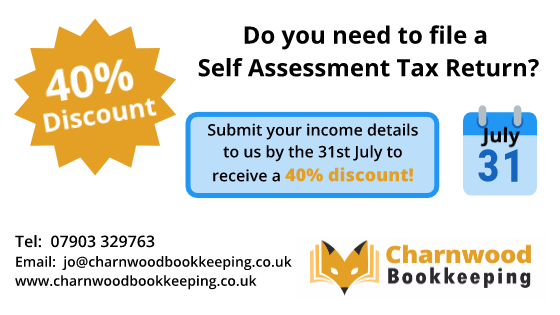 Submit your income details to us by the 31st July to receive a 40% discount. Contact us now and don’t miss out. Find out more about our Self Assessment tax services and the savings to be made. Why outsourcing your bookkeeping can help you and your business growth. Running a small business demands time and energy — sometimes more time than hours in the day, and more energy than you can physically muster. Although outsourcing and delegating may seem intimidating at first, this can be incredibly beneficial to your business operation. When you can focus on what you do best, or the tasks requiring the most effort and time, both you and your business will be at the most productive. ‘Outsourcing’ refers to any task, operation, job, or process that could be performed by employees within your own business, but instead you contract to a third party — someone on the outside. Far from handing over the reigns and losing control, it’s a way of capitalising on the strengths of other professionals to perform the tasks involved with running your own business. Common tasks that you can outsource include graphic design, marketing, social media management and of course bookkeeping. Ultimately, outsourcing will save you time and money! Before you make the leap to outsourcing, you should consider what your own time is worth, what your weaknesses are, and what’s most important to your business. Knowing how much your time is worth makes outsourcing decisions practical and straightforward. If your time is worth £50 an hour, for example, you can save £20 an hour by hiring a graphic designer who charges £30 an hour to develop your letterhead. Furthermore, a graphic designer will do a better, faster job of graphic-design-related tasks than you or another industry specialist. This is a double saving. Identifying your weaknesses is likely a harder exercise. After all, many small business owners enter into the small business sector because they are passionate about or talented in a specific area. Taking stock of your skills and pinpointing the tasks that you are either not terribly good and/or don’t enjoy can make the decision to outsource those tasks much easier. Put your energy into the things you love and are good at and let someone with the right skills and experience handle the rest. Finally, set aside some time to determine what is unique about your business and what gives it its competitive advantage or potential for profit. These are the tasks that you want to retain for yourself. Seemingly inconsequential tasks for a manager, such as one-one-one customer service, may not be inconsequential at second glance. If your business thrives particularly on the rapport it develops with customers face-to-face, this might be an area in which to focus your own energy. Only delegate or outsource tasks that will not compromise your point of difference. So, think of outsourcing as just another resource available to you as a progressive, responsive business operator. Think first, plan wisely, manage well — and put some zing back into your business. Contact us to discuss how outsourcing your bookkeeping can help your business growth. Profitability is a vital component of a successful business, but without proper cash flow management your business is at risk of failing. The cycle of cash in and out of your business determines your business’ solvency. Working Capital: In order to properly manage your cashflow you need to understand just how much working capital your business needs to run and keeping things moving from day to day, week to week or month to month depending on your business type. Invoice as soon as you can – do you really need to be invoicing at the end of the month? Can you invoice as soon as the work is completed? What are your trading terms? Can you shorten your trading terms? If you are not invoicing as quickly as possible mainly due to lack of organisation or inconvenient to do so, then it would be worth looking at Cloud Accounting options. There are dozens of apps out there that will let you invoice on the spot with a few clicks. It’s also good practice to setup automated reminders that are delivered before the due date. Also it may be appropriate for you to ask for partial payments upfront, or milestone payments over the course of a project. Stay on top of Debtors: Consistently remind those with outstanding debts of their obligations. Debtors will be more likely to pay your account if you keep on top of reminders and follow up with phone-calls. If you have certain clients that are chronically late then you need to look at ways to recover the costs to your business such as late fees or penalties. You should also review your credit policies for habitually slow paying customers. Holding excess stock: Do you really need to be carrying and holding all of that excess stock? Do you have an efficient re-ordering method? Do you have any easy way for you and your staff to know what stock you already have on hand so they don’t purchase more of the same? Stock management can also be easily managed via the use of modern technology. Purchasing and price comparisons – are you really getting the best deal? You could save significant amounts by routinely checking over your pricing, and asking for better pricing on items you purchase in bulk or can get more cheaply from another supplier. Also, opening up trading accounts where you were previously COD, once the relationship has been established can be a good way to improve your cashflow situation. It’s worth asking for extended trading terms where they are available – but always ensure that you budget for these large bills that will be due months after you have been paid for the work or you could run into trouble. Pay bills only when they are due. Does anyone pay their bills early? – doubtful, but if you do, don’t. Keep the money in your bank as long as you can. Continue chasing and winning new business. Don’t be over-reliant on the clients and customers you already have and bear in mind your client/customer life-cycle. Know how many new clients/customers or work you need to be winning each period in order to stay afloat and your hit your targets, whether you are trying to simply maintain a client base or grow. Have a backup plan – in the unfortunate case when things go wrong it’s good to have a backup plan such as an overdraft, finance or access to personal funds to get you through a cash-flow crisis. Remember, we are always here to assist you with your cash-flow management. Simply contact us to make an appointment – it could make the world of difference to the health of your business. The GDPR – Is your small business ready? Is your business ready for the new GDPR effective from 25th May 2018? Businesses are starting to panic as they try to comply with the General Data Protection Regulation (GDPR) before the 25th May 2018 deadline. It’s a wide-ranging regulation designed to protect the privacy of individuals in the European Union (EU) and give them control over how their personal data is processed, including how it’s collected, stored and used. It affects every company in the world that processes personal data about people in the EU. Many believe that the GDPR won’t apply to them because they have fewer than 250 employees, infact it applies to every business that has customers, employees or clients in the EU. Any organisation, regardless of size, that regularly processes EU residents’ personal data must comply with the Regulation. However, SMEs may be exempt from the more rigorous steps. This means you might not need the extensive documentation that larger organisations are required to keep. Nevertheless, you may find that your suppliers or customers will require you to have such documentation within their new GDPR-compliant contracts, so having it may give you a competitive advantage. You are a public authority (except for courts acting in their judicial capacity). You carry out large-scale systematic monitoring of individuals (for example, online behaviour tracking). You carry out large-scale processing of special categories of data or data relating to criminal convictions and offences. The good news is, you aren’t obliged to hire a full-time employee for this role. You can have someone who performs this alongside other duties (if they aren’t processing data and don’t have a conflict of interest), you can share a DPO with other organisations, or you can outsource the role entirely. It may seem a daunting and expensive prospect, but there are cost-effective options out there for SMEs.